Traveling for business is more often than not an unglamorous chore – fighting airport crowds, dealing with lost luggage and being away from family. That said, every now and then a business trip will coincide with an event in the destination city that makes me forget the hassles of travel. Such was the case during my recent trip to Northern California which took place a few days after my visit to Houston for the Casa Noble tasting detailed in my previous post. While I was in town, as luck would have it, another tequila tasting and dinner was taking place at La Piñata, a restaurant and tequila bar in Downtown San Jose. Included with the meal were tastings of two of Beam Global Spirits’ brands: the now 100%-owned El Tesoro de Don Felipe and Sauza’s Tres Generaciones. What made this tasting special was that the guest of honor was Carlos Camarena, third generation master distiller and producer of the El Tesoro brand (as well as Tapatio, another benchmark brand and rumored to soon be available in the United States). The tasting included a glass of blanco, reposado and añejo of both brands, done side-by-side. However, before we got a chance to jump into those blancos, those of us in attendance were treated to blood orange margaritas prepared with Thatcher’s organic drink mixers as we gathered and waited for the tasting to begin. Once we finished our cocktails, Armando Zapata, a Beam Global tequila and cognac ambassador, took the floor and walked us through the Tres Generaciones blanco, noting its production (lowlands agaves, triple distillation) and various aromas and flavors. I picked up sweet and slightly yeast-like notes in both the aroma and the taste that reminded me of bread dough. There was also a strong presence of banana to me. My taste went down smooth with a slightly peppery finish that was nice, but not altogether interesting. Armando was followed by Carlos Camarena who also walked us through the tasting of his blanco (El Tesoro Platinum). El Tesoro’s agaves are highlands-based, cooked in traditional ovens and double-distilled. Interestingly, the El Tesoro brand is distilled straight to proof meaning that no water is added before bottling. I found that the flavors came across as spicier but with a strong agave backbone mixed with citrus and even a hint of olives. On my palate, this was much more interesting overall. Both gentleman then spoke to the reposados as we tasted them next. Many of the same characteristics were present in each brand but now showing the influence of oak. Rested 8-11 months, the El Tesoro had a pleasing balance and almost honey-like finish and the 3-month-aged Tres Generaciones was now much more interesting, with the banana still present but toned way down. Once the reposados were finished, we took a break from tasting to enjoy an excellent dinner before moving on to the añejos. It was at this point that the night really became special. Carlos started to talk about the history of what we were now drinking. When El Tesoro was first introduced in the 1980’s, it was only available as a blanco or an añejo, the latter being marketed with the title “Muy Añejo” (“Very Aged” or “Very Mature”). The company chose this title because they had actually aged this expression for more than three years, longer than the standard añejos available at that time. The “Extra Añejo” category that we know today had not yet been established and the Camarenas wanted a way to describe that this bottling was more than just any standard añejo. After about a year on the market, the government forced them to stop using this title because it did not fall in line with the tequila labeling laws. El Tesoro continued to produce their añejo the same way and simply removed the “Muy” from the label. They also started petitioning for another category of tequila, which 20 years later would be approved and adopted by the Consejo Regulador del Tequila (CRT) as “Extra Añejo” (aged over three years). By that time the public had already associated the bottle and taste as El Tesoro’s añejo product so changing the name to the newly created Extra Añejo category and then “backfilling” with another traditionally aged añejo was not an option as people would likely confuse the two. The decision was made to continue making the añejo as they had always done and voluntarily downgrade the bottle labeling to simply “Añejo”. Once the añejo samples were complete, the pride of El Tesoro’s line was poured – the 70th Aniversario – considered by many to be among the best tequilas ever produced. Of course, there was also a story to this bottle and as Don Camarena recited it, you could see both the pride and emotion that was tied to this bottle. As he tells it, it all started with a specific agave field in 2000, where the sugar content of the plants in this field averaged 37%, an incredible number considering that most sugar levels are in the mid-to-upper 20% range and rarely ever hit even 30%. Not believing this number, he asked his chemist to rerun the tests at which time he was told the tests had already been run multiple times because the chemist also could not believe the results. With the field harvested, cooking completed, and knowing they might have something very special before them, Felipe Camarena, Carlos’ father, had the batch fermented, distilled, barreled and put into storage on June 30, 2000, noting that someday this might be something really unique. In June 2007, with the 70th anniversary of “La Alteña” – the family distillery – quickly approaching, Carlos remembered that he had this now-seven-year-old batch of tequila aging . . . somewhere. He reviewed his books to find the notes on this batch and to literally find where it had been stored. After locating it and tasting a sample he realized he indeed had something special and wanted to bottle it for the upcoming celebration at the distillery. The problem was that the event was only seven days away (note, that tequila was also exactly seven years old, to the day). Amazingly, the barrels were unsealed, tested and approved by the CRT, filtered, and bottled in time for the party. Interestingly, the juice from those barrels filled exactly 2007 6-bottle cases. The tequila also ended up registering 39.75%, or 79.5 proof, straight from the barrel – something fairly remarkable unto itself considering evaporation and the time spent in storage. This was important because it meant that no water was needed to dilute it to attain the required 40% ABV and it was also high enough to be legally considered tequila. Carlos noted the consistent numerical coincidences throughout the entire process; that in a single field, seven years before the distillery’s 70th anniversary (opening in 1937), those plants’ average sugar content was 37%; the upcoming anniversary party was naturally scheduled for 7-7-2007, a date selected long before anyone remembered that this juice was even still around; the tequila produced exactly 2007 cases; and as Carlos threw in, naturally, he also had seven sisters! Unfortunately, Felipe Camarena passed in 2002 and never got to see the final results of what he put in storage years earlier but Carlos believes that it was no coincidence that the 70th Aniversario came together the way that it did. In a single bottle, the culmination of 70 years of passion, dedication, and hard work by three generations of Camarenas can be tasted and it’s simply amazing. Old barrels were used for storage which allowed the juice to rest for 7 years without the barrel destroying the agave flavor. It’s soft, sweet, and incredibly balanced with vanilla, oak, agave and a light spiciness all recognizable and distinct but none overpowering. After savoring the glass of Aniversario in my hand, the group enjoyed dessert and then slowly broke up, migrating to each of the ambassadors to ask questions and thank them for their time and efforts. I was no different, getting a photo with Carlos and making some small talk before heading back to my hotel. Having the unique opportunity to sit in the same small room along with 20 others listening and watching Carlos tell these stories first-hand was a unique experience. Being able to taste his tequilas and talk to him face-to-face about them made this even more memorable. It’s nights like this that make business travel well worth the hassles! September has been a month that I was looking forward to for some time. NHL teams open camp, pro and college football returns, and the kids are back in school. While those are all great, I was looking forward to this particular September for a few other reasons. This year’s installment included a couple of business trips mixed in and overlapping with a number of tequila events. Now that the end of the month is upon us and I am once again settled in at home, over the next few weeks I’ll be sharing some of these wonderful experiences here. The month started out on a high note as I was lucky enough to receive an invitation to a private tasting event in Houston that not only featured Casa Noble tequila, a personal favorite, but was also being led by co-owner and founder Jose “Pepe” Hermosillo. Also in attendance was David Yan, the brand’s Director of Marketing for Mexico. As I noted initially, this event took place in Houston and more specifically, at the TQLA Tequila Bar and Restaurant. This meant a three-hour drive for me each way. The drive there was actually quite pleasant and I had enough time to stop at a few places along the way to see what I might find (Success! Two Denton Chinacos and some $20 Trago’s!). I arrived at TQLA about 30 minutes early giving me a chance to meet and talk to David Yan, one of the tequila industry’s great ambassadors and educators. I have known David for some time through various forums and social media channels, but this was the first time that we were able to meet in person and I was very much looking forward to that. After proper introductions we talked for a bit about different topics, including some recent industry news and events, mutual friends, and Carlos Santana, Casa Noble’s newest partner. (Santana was also in Houston preparing for a weekend show and I noted that a few of us at the event were wondering if he’d make a surprise appearance). David is a class act and one of those people that has always been willing to answer questions and share his insights about tequila, and finally getting to meet him and talk face-to-face was one of the reasons I was there. After a quick introduction and brief chat with Pepe Hermosillo, we took our seats and the tasting commenced as Pepe led a group of roughly 20 people through a quick history of Casa Noble, the La Cofradia distillery, and the production techniques behind the making of Casa Noble tequilas. A lowlands or valley-based brand, Casa Noble is a single estate, USDA certified organic and kosher 100% agave tequila and in front of us were four brandy snifter-style glasses with each already containing a sample of the various tequilas we were about to taste. First was the blanco, or “Crystal” as Casa Noble has titled theirs. Pepe talked us through each segment of the process and explained each step as he went along – a perfect “Tequila Tasting 101” class. First, raise the glass to the light to examine the clarity and brilliance. Next, look at it with the white paper on our tables as a backdrop, picking up on the colors – hints of gray, silver and even green at the edges as light dances through it. The main thing to look for in this step is clarity of the juice – no “floaties”, cloudiness or other things that show possible issues with the tequila. Next, Pepe walked through the aromas. I’ve found that snifters are generally great for two things: concentrating the aromas and concentrating the alcohol vapors. He asked each of us to place our noses at three different spots above the glass. First, the bottom lip of the glass, getting the nose close to the juice. The alcohol notes tend to be strongest here but this is also the best place to smell any agave notes. Next, we moved to the center of the glass where more secondary aromatics come through and finally, we moved to the top rim, where more of the floral notes really start to expose themselves. Pepe noted that there are 600 distinct “flavors” that can be picked up from a tequila. 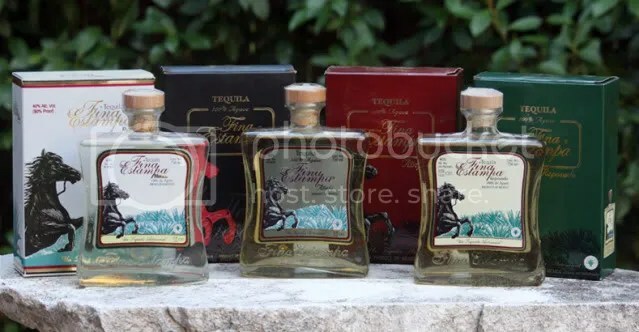 To help us more easily identify some of those found in Casa Noble’s tequilas, each table was provided with a mini scent kit – six small bottles that contained pure extracts of different scents such as white pepper, agave, lemon-grass and cherry. At this point, we gave the glass a swirl – looking at the body and legs, watching to see how quickly the “pearls” formed, their size and how slowly they fell down the sides of the glass (legs or tears). The smaller the droplets and the slower the tears, the more body the tequila tends to have. This usually translates to a great mouthfeel and what some describe as almost “chewy”. The gentle swirling also helps accelerate the evaporation of some of the alcohol vapors which then allows the nose to pick up more of the aromas. Finally, we tasted. Pepe asked us to take a small sip, let it sit in the mouth momentarily before slowly breathing in a bit through the mouth while the juice is still present, then breath out through the nose. This helps to activate the palate’s flavor receptors as well as getting a more complete flavor from the tequila itself. It engages more taste receptors, allowing more flavors to be picked up. Next, we took a larger sip and let it fully coat the mouth looking for body, mouthfeel and various flavors as well as the way the tequila finishes after being swallowed. When swallowing, allow the juice to gently slide down the throat. Swallowing “hard” or gulping tends to cause the stereotypical back-of-the-throat burning. We walked through this same routine for each of the four glasses placed in front of us: the blanco; the reposado (aged for 364 days, one day short of legally being an añejo); the regular añejo (aged 2 years); and a single-barrel reposado (also aged 364 days). All of the aged expressions were rested in new white French oak barrels and all of Casa Noble’s tequila is triple distilled in small batch stainless pot stills. Finally, as a special surprise, a 5-year single-barrel añejo was poured and given to each of us in a traditional Riedel tequila glass, etched with the Casa Noble logo and provided as a keepsake for each attendee. While each bottle was enjoyable on its own and had its own signature characteristics, from white pepper and citrus to chocolate, caramel and vanilla, the entire line had a distinct and consistent agave backbone that really comes through when tasting each side-by-side. Once the tasting was completed, Pepe moved from table to table answering questions and talking with everyone. I took advantage of this opportunity and asked a few questions as well as getting signatures on my own older bottles of reposado and a 5-year añejo, along with a group photo or two. This night did nothing but confirm my belief that Casa Noble is one of the true benchmark tequila brands currently available and I would encourage everyone to seek it out and give it a taste. Special thanks to TQLA Houston and Casa Noble for an informative and fun night. It was a perfect way to kick off what has turned out to be a great month. 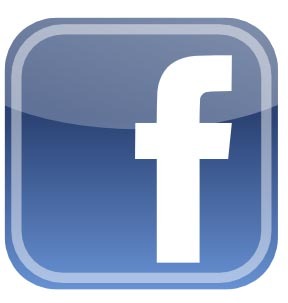 For more information about Casa Noble, please visit their website at www.casanoble.com. With August fully in the rearview mirror, I can now say that this blog has officially started into its second year. Looking back there’s a lot to reflect upon and a lot to be thankful for. In the past year, I’ve been invited to sit as a judge at two tasting events, been exposed to numerous brands that were not available in retail stores here in Texas, and most importantly, met a lot of wonderful people that I would not have met were it not for tequilatracker.com. Some of those wonderful people are brand owners and aficionados and their passion for the agave is infectious. Even more amazing to me is their genuine desire to share their stories, insights and knowledge with anyone willing to listen. These are the people that make tequila the unique spirit that it is and I thank them for their willingness to share and educate those of us willing to learn. Back in November, I wrote a piece about El Viejo Luis and noted that they had an añejo that was still resting in barrels and to start looking for it in 2011. This past spring, the añejo hit the retail store shelves. I picked up a bottle and I’m duly impressed. A warm, buttery aroma mixed with a mild alcohol attack was my introduction to this fairly dark, amber-colored juice. Once in the mouth, the balance of agave and wood tends to lean to the wood side, but not in the sense that the oak is over-powering. Aged in new American oak for 18 months, the initial bourbon-like notes transitioned to subdued agave and spiciness as the juice warmed in my mouth. Altogether enjoyable and with a price point of about $35, this is a tasty tequila that can be enjoyed as both a sipper as well as a mixer, especially for those that enjoy a heartier margarita or paloma. Back in July, the Camarena Taco Truck made a near-month long visit to the Austin area. For the uninitiated, Camarena is a relatively new tequila brand backed by the wine giant Gallo and being made by one of the family lines of the Camarena’s, the most famous of which are Felipe and Carlos, whose creations include Tapatio, Ocho, El Tesoro and Trago. They have taken a unique approach to marketing their brand by taking it directly to the streets through food. The company has put together a couple of now-trendy food trucks that move around the country. In each of the cities that the truck visits, a local chef prepares a menu of taste-sized foods that have been infused with the company’s tequila. 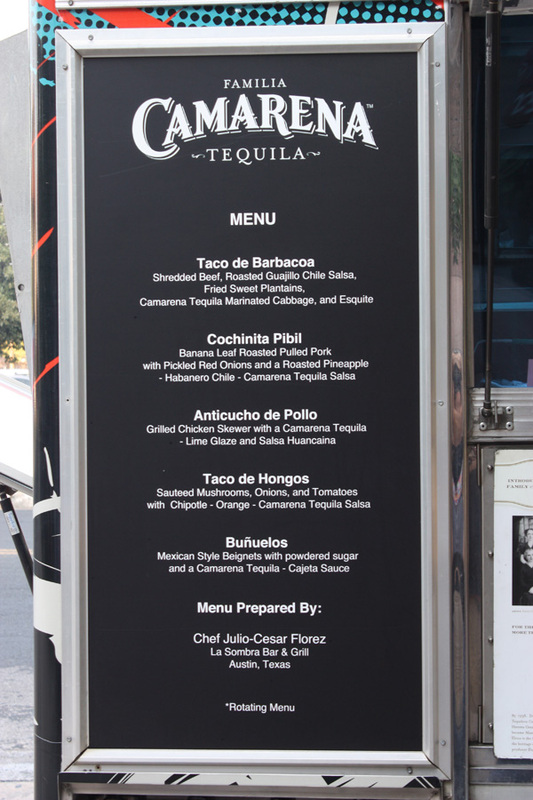 This menu is prepared on the truck as brand ambassadors talk to the people in line about the tequila itself. This is an interesting and unique way to market a product and create interest as well as name recognition without actually providing a real sample of the tequila to taste. To be honest, I didn’t know what most of the food on the menu was. Luckily, I had my food expert wife along and she filled me in. I opted for the Anticucho de Pollo while she went with the Cochinita Pibil and both were excellent. I can’t tell you how much of an influence the tequila infusion had on the overall taste, nor can I talk much about the tequila itself since I have not had the opportunity to give it a full tasting. What I can say, however, is that if the Camarena Taco Truck happens to make a visit to your town, I’d suggest paying it a visit just for the food alone. To all of you that take the time to read the pieces I post here, thank you! I plan to continue bringing the stories of the people behind the brands whenever and wherever I can. This educational journey is long and never-ending and I want to include and share as much of it as I can through these postings. 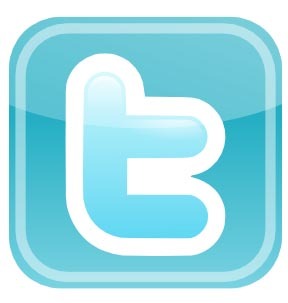 I hope you will continue to follow me as tequilatracker.com moves into its sophomore year. ¡Salud! It seems to me that since the dawn of time, man has had a need to test himself against others… to find out who’s the “best” at any given thing. In many cases, such as certain sporting events, determining “the best” is usually fairly easy. In others, the biases of taste, style and perception provide the grounds for what seems to have become a national pastime – the argument over who or what is “best”. This was exactly the position myself and 11 others were in, happily I might add, not long ago as the lot of us converged in Albuquerque, NM, and sat in a room tasting and rating glass after glass of tequila. The event was the New Mexico International Intimate Tequila Tasting (NMIITT) and I had the opportunity to sit as a judge. The NMIITT was put together in part to celebrate New Mexico’s historical link to tequila – it was where tequila was first imported from Mexico – and brought together a number of industry experts, collectors, writers, aficionados, and certified “catadores” (the official name for a taster). I was truly honored to even be considered as someone worthy of being included as a part of this group. What an opportunity to learn! The chance to meet, talk to, and learn from this group was the deciding factor in accepting the invitation to be a judge back in March. Simply being offered the invitation was a huge surprise and I debated my decision to accept or decline – there are so many others far more qualified than I that should be there. In the end, I reasoned it out this way – how could I pass up an opportunity like this? I knew I’d regret it if I turned down the invitation. So there I was, having arrived the night before after a two-day drive from Austin, in the tasting room mingling with the other judges, most all of whom I had met, chatted with and shared tequila with the night before. Sitting to my left was Mario Marquez, Certified Tequilier/Catador and president of Magia Azul tequila consulting. To my right was Alex Perez, publisher of Tequila Aficionado. My first thought was “What am I doing here?” as there were people in this room that were absolute experts and I was now judging alongside them! But once the “cata” (tasting) began, that initial fear subsided a bit as I began to focus on the task at hand – tasting tequila! Glass after glass of blanco was brought in to us – 18 in all. After a short break, 23 reposados made their appearance, one after the other and at a pace that allowed each of us to take our time examining and tasting each one without feeling rushed. And that time was necessary to allow us to clense our palates with crackers, black coffee and water after each sample. Twelve añejos and four extra añejos followed and once the tequila tasting was completed, a surprise round of 5 sotols were brought in. Sotol is a distilled spirit made from the Sotol plant (as opposed to the agave from which tequila and mezcal are derived), generally found in Northern Mexico, and is most commonly associated with the state of Chihuahua. One of the characteristics of sotol is its smoky aroma and flavor which is something that would have ruined our palates had we tried it earlier in the day. As judges, we were scoring each glass on its own merits using the American Tequila Academy’s scoring system, giving points in three areas: visual, aroma and flavor. This scoring system put the most weight on the aroma category, offering half of the possible 20 total points for a perfect score. The tasting took place over eight hours on a Friday afternoon and into the evening, with the winners being announced the next evening at a public tasting event where all of the brands could be sampled. By my tallies, there were a total of 62 samples tasted from 24 tequila brands and 2 sotol brands. Since the tasting was completely blind, we were not made aware of any of the brands that were being rated beforehand, which made for some interesting conversations after the judging was complete and the bottles were revealed. Actually, “interesting” might be a bit tame as there were more than a few audible “Huh?”s after a couple of the winner’s names were called. Probably not what you expected, right? It was then announced that this would be the first official cata to include a certified organic category, wherein Republic Tequila was awarded best añejo and Tequila Alquimia won the blanco, reposado and extra añejo categories. (The full list of the bottles that we tasted and their overall scores has been posted on the NMIITT website and linked here for convenience: Top Ten by Category and Brands Entered). If you have read almost any of my posts here, you know that one of the points I always try to make is that just because I may like a brand doesn’t mean you will. Knowing this, what difference does it make who wins a competition like this? Does an award really matter? 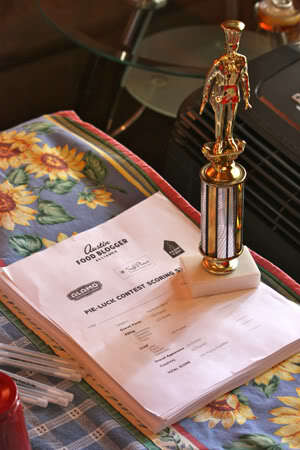 Of course, if you’re someone that selects tequilas based on awards, then it certainly makes a difference! That being said, each competition is different and each award should be put into its proper perspective – something the average consumer probably does not take the time to do. A gold medal from one competition will likely not be the same as a gold from another. To be sure, awards like these can be a helpful resource when looking to try something new, but always remember that the gold medal hang-tag is not a guarantee you’ll like what’s inside. With the event complete, I can now look back and reflect on the weekend as a whole. I originally accepted this invitation for the experience of being able to participate in my first true cata as well as with the expectation that I’d finally get to meet a group of people that I only knew from their posts in the tequila forums or had chatted with on Thursday nights during Lippy’s Tequila Whisperer show. I knew it would be a tremendous learning opportunity and indeed it was. For three nights I sat with this group in the hotel bar discussing tequila, sharing stories and making new friends. Regardless of anything else that took place, that alone was worth the drive. Thank you to Jason, Jay, Chris, Khrys, Z, Tim, Alex, Mario, Jacob, Mike, the Queen of Tequila, and, of course, my wonderful wife for accompanying me and putting up with my frequent liquor store stops along the way. This was a weekend I won’t soon forget and I look forward to raising a glass of tequila or sotol with each of you again soon. ¡Saludos! So that’s all well and good, but what does all that have to do with tequila? Pretty simple, actually. One of the things that I have been trying to do more of recently is to incorporate tequila into more recipes. In this case, I wanted to take a pie that I’ve been making for a few years now and tweak it to be something unique. Honestly, it’s the ONLY pie I make, so I didn’t really have a lot of options! Having just returned from a weekend in New Mexico (more on that trip in an upcoming post) the flavors were still fresh and seemed to be a perfect fit with my base pie. Essentually, chocolate, chili powder, cinnamon and tequila – the New Mexican Hot Chocolate Pie. The flavors should hit the palate in waves, from the creamy tequila notes followed by the chocolate and cinnamon and then, moments later, the peppery heat makes its entrance. Thinking I had something fairly unique, I made 2 pies, entered 1 into the contest and of the 10 entries, I took 2nd place, losing out to a pecan pie – not bad for a one-pie tequila hack like me! I’ve included the easy recipe below and hope that you enjoy it as much as I do! Combine the Graham Crackers, sugar and chili powder in a bowl. Melt the butter and slowly pour it into the bowl, mixing until the entire mixture is evenly coated. Press the mixture evenly into a 9″ pie pan and bake for 8 minutes in a 350-degree oven. Remove and let cool before adding filling. *If you opt for a pre-made crust, take the chili powder and sprinkle it evenly around the crust prior to adding the filling. Place chocolate chips, powdered sugar, cinnamon and chili powder into blender and set aside. Combine milk and butter in a saucepan over low heat, stirring regularly. When butter is melted and before milk boils, remove from heat and slowly pour into blender. Mix at a low speed to combine all ingredients. Pour into crust and refrigerate until filling solidifies. In a mixing bowl, whip the cream at a medium speed, adding the sugar a tablespoon at a time. Once incorporated, increase speed until cream begins to thicken, then add the Tequila Crema. Continue until evenly incorporated and soft peaks form, but take care to stop before the cream turns into butter. 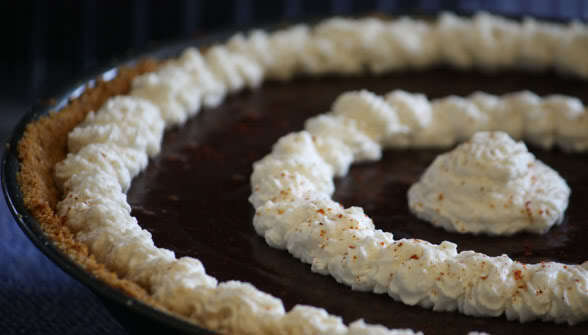 Decorate the top of the pie with the cream prior to serving or add to each slice after cutting.